This a blend of about 60% Syrah and 30% Grenache which were tank vinified, with 10% barrel aged Mourvedre. 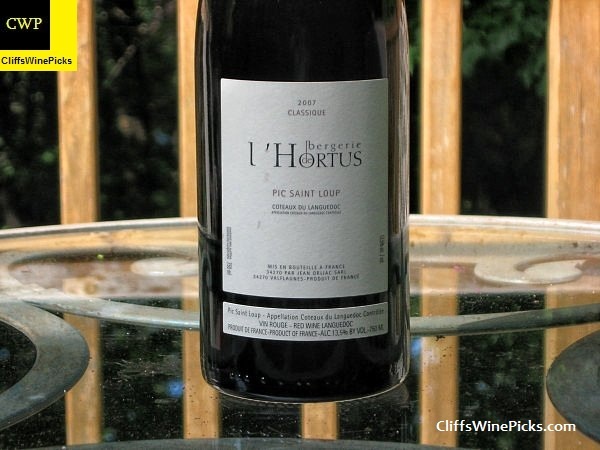 I’m a big fan of the impressive, value priced, wine from the Languedoc region in France. These are exceptional wines to pair with a piece of juicy meat hot off the grill. The Turley Juvenile Zinfandel is a blend of grapes from younger vines in the vineyards from around the state the winery uses for their single vineyard Zinfandels. These vineyards include some of my favorites, Hayne and Ueberroth, among others. The vines range from 6 to 25 years old. 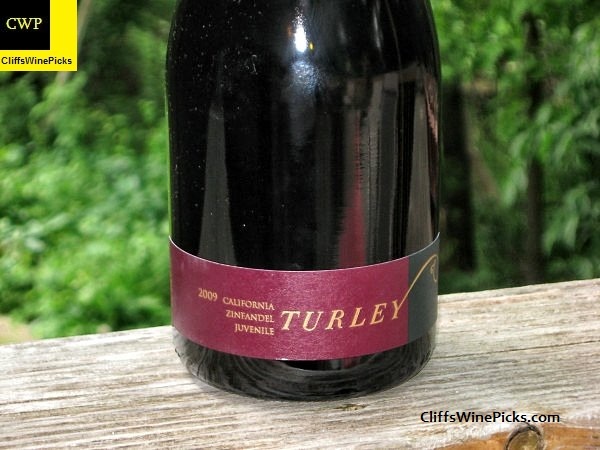 To me, this is one of Turley’s better value wines. 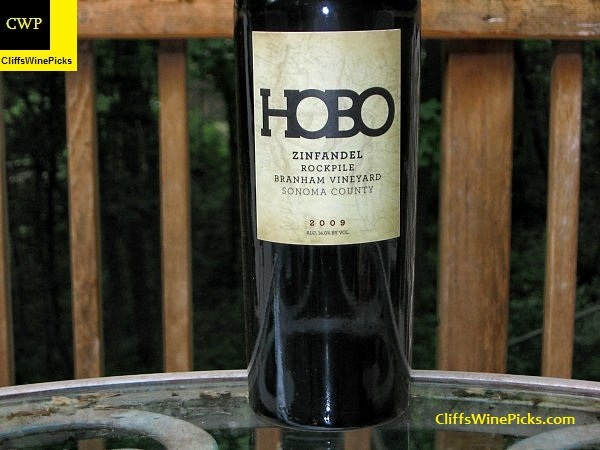 This is generally a wine to drink on the younger side while giving the single vineyard Zinfandels some cellar time. I love Brian Loring’s Pinot Noirs, actually I love all the wines of his that I have tried. 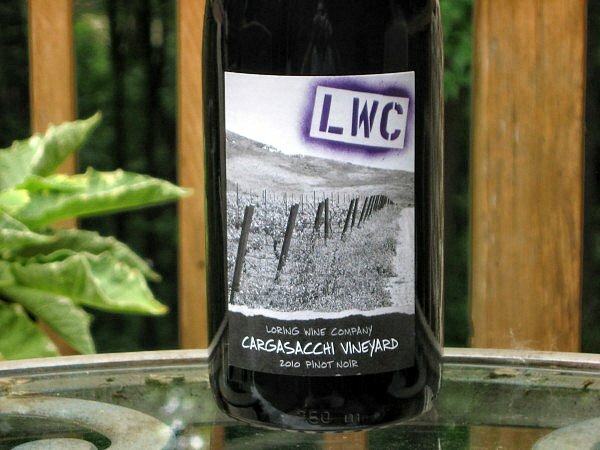 That said, this will be my first Cargasacchi Vineyard Pinot Noir from Loring. I don’t know how this wine fell through the cracks, but this was the first time I bought the wine. Loring’s Pinot Noirs are very Californian in style, which I do not say in a bad way. Brian’s pinots are usually ripe and bold and very tasty. If you are looking for a Burgundy, look elsewhere, if you are looking for a very tasty bottle of wine you’re in the right place. I’ve been a big fan of the red wines coming out of the rugged Rockpile appellation in Sonoma for several years. These are generally big, burly wines due to the area’s proximity to the cooling breezes off of the Pacific Ocean. Tim Fish from Wine Spectator had a very nice piece on the area about a year ago. I’m not sure if you have to be a subscriber or not to follow this link, but it’s well worth checking out. I think the writer’s blogs are free with no subscription required.